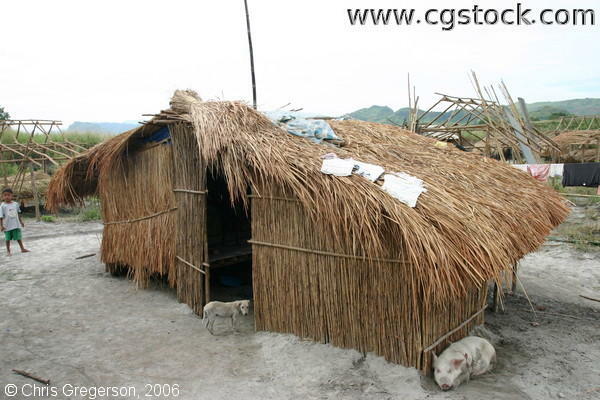 This picture shows a typical Aeta house in a settlement area in Pampanga. Known as a "bahay kubo," it is simply constructed from cheap materials such as nipa, bamboo and strings. Aetas are traditionally communal, and the presence of a hog at the side of this house signify their practice of animal husbandry.